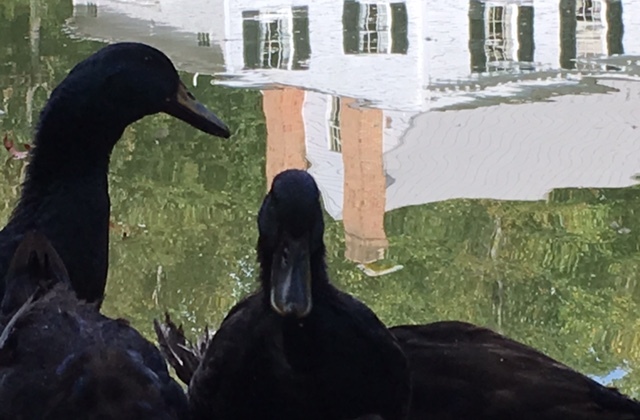 Back in the spring of 2017, Stevenson Ridge took in a little family of ducklings to live on our pond. In the beginning, they wouldn’t leave their “house” across the pond. Over the following months, the staff watched them grow from little ducklings into full-grown ducks. They were then finding their way all over the property, even right up to our kitchen door to see what we were cooking up! The night before the Debicki wedding, we hosted their charming rustic rehearsal dinner on the front porch of one of our favorite cabins, The Log Home. Their dinner sat about 25 people comfortably, surrounded by wedding day florals and candle-lit lanterns. Overlooking the pond and surrounding cabins, the guests enjoyed a buffet-style dinner accompanied by a self-serve Bellini Bar with an assortment of fruit. 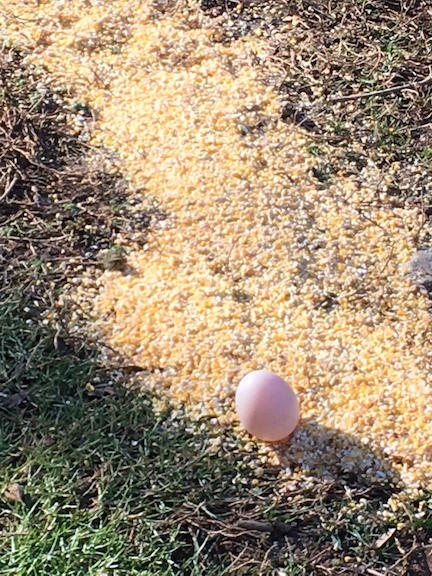 Literally, with my back turned, one of the hens laid an egg–right on top of the corn I had just spread for them! 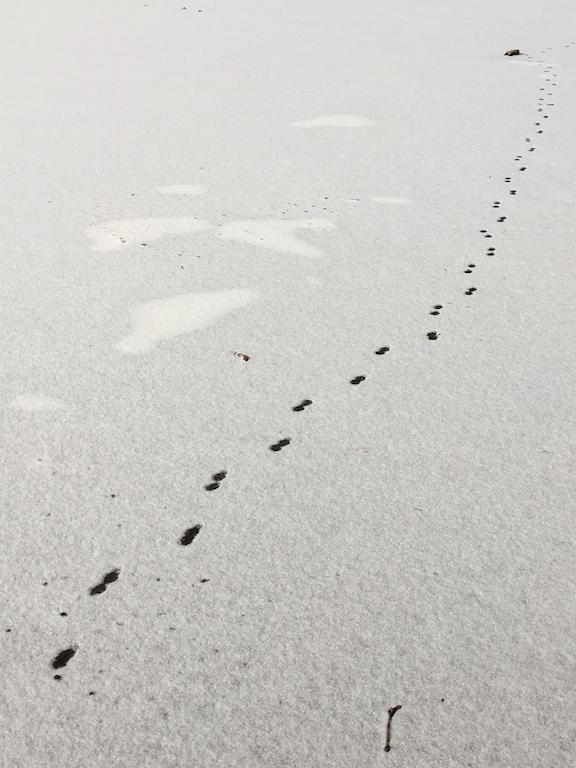 A dusting of overnight snow earlier this week revealed a visitor to the pond who might have otherwise remained invisible: a fox. 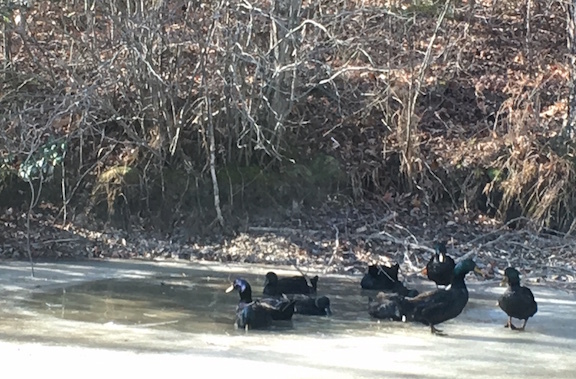 The cold snap this week has our ducks huddling in a smaller and smaller patch of open water on the pond, which has otherwise started to crust over with a layer of ice. Read More! Posted on December 28, 2017 Tagged duck shelter, ducks, ICE! As I’d mentioned last week, I tried my hand this spring at raising some ducks for Stevenson Ridge’s pond. We’ve had a few questions about the ducks since then, so let me take you back in time to Tuesday, May 23, when the ducks first arrived. 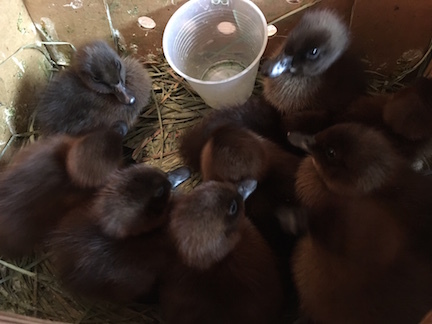 I received a call from the post office at 4:30 a.m., inviting me to come on down and pick up my ducklings. They arrived in a box smaller than a shoebox. We have a new house at Stevenson Ridge. It sits pondside between the Log Home and the Riddick House. 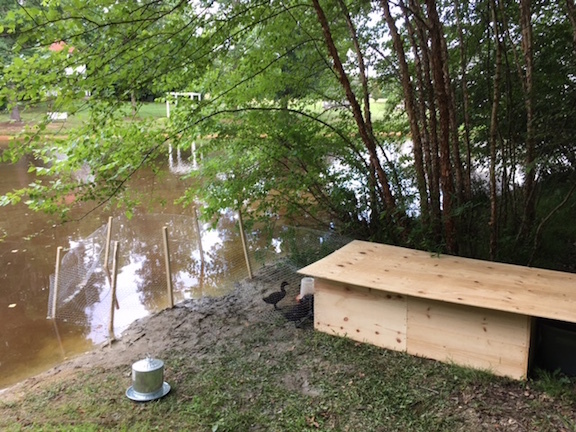 We call it the Duck House—because it houses ten new ducks we’ve bought to the pond.